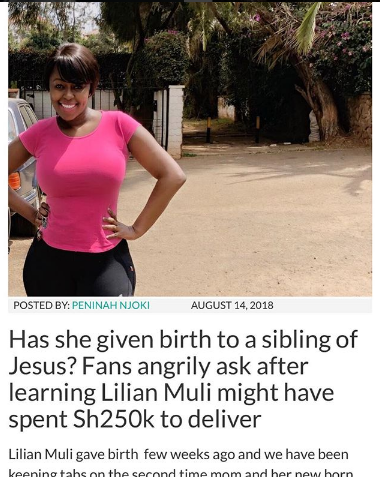 Lilian Muli has fired back at all those unimpressed after hearing she might have paid at least Ksh 250 to give birth. In a long Instagram post, the Citizen TV news anchor attacked Kenyans who were complaining because she parted with such a figure. “I’m only going to give this my attention because it’s becoming BORING. If I could spend 10 million or more that God has given me the ability to afford to spend I would spend it to give my baby the best experience…if you wanted to know how much I spent you should have just walked into Nairobi Hospital and asked how much it cost trust me if you are upset about 250k that’s a GROSS UNDERESTIMATE!” she said.